Welcome to One of the Last Open-Air Markets Full of Florida Great Tastes! Celebrating Over 70 Years! 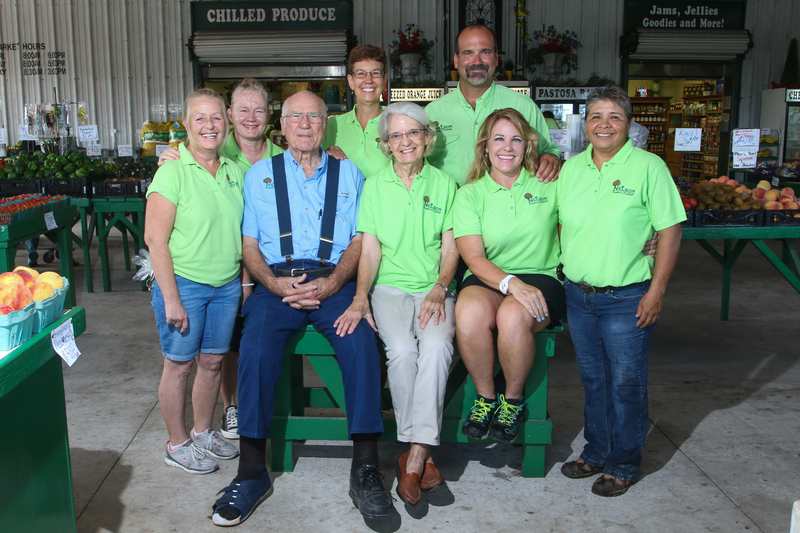 Nelson Family Farms welcomes you to our family owned & operated produce market and ornamental nursery. The Nelsons provide the finest tastes Florida has to offer in beautiful White City, Fort Pierce, FL. Open 7-days a week, we are located between Oleander Av. and U.S. #1, at 875 W. Midway Rd. Just click on the small map shown above for directions. We’d love to have you come for a visit! Our family and staff are always happy to see a smiling face. Come see the largest variety of fresh fruit & vegetables in our area along with many other fine food selections! Wait until you see our ornamental nursery featuring over 30 varieties of Florida Citrus Trees. During Indian River Citrus season, try our fresh squeezed orange and grapefruit juice. It’s the “Talk of the Town”! A friendly shopping environment with the best customer service and a smile. Only the Finest Fruits & Vegetables in a wonderful open-air setting. Bill’s Gourmet Coffee, 100% Colombian Bean and roasted right on our farm. A Fantastic Selection of the very finest Wisconsin & Amish Cheese. Over 30 Varieties of Florida Citrus Trees in 7-25 gal., We grow them ourselves! Beautiful Variety of Ornamental, FL Native, Fruit & Vegetable Plant Varieties. Since the establishment of our very first citrus grove in 1938 by Alfred, Hilda & William H Nelson, our family has always taken the approach of hard work, honest business and only providing excellent quality. 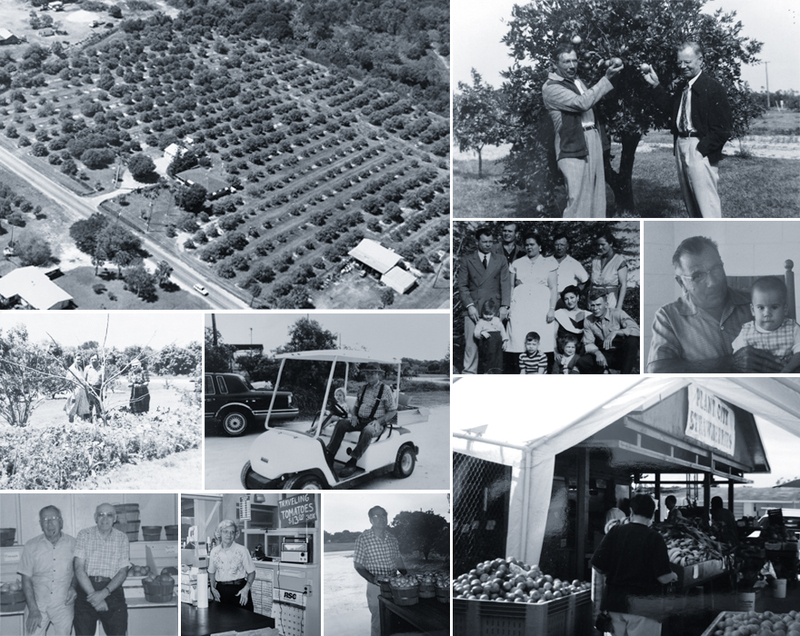 From selling our Citrus Fruit out of Alfred and Hilda’s first home (still existing on the farm today) to operating the largest open-air produce market in the area, we have always taken great effort to love what we do and do it well. Today, you may see Bill, Charlotte, Dan, Lisa Nelson, Cheryl Nelson Platt or Jennifer Nelson Lincoln on the farm at any given day. Our staff and family try our very best to make your experience so good………. you will want to come back over and over. Nelson Family Farms supports Know Your Farmer and Farm to Plate programs. Why is that important? Because selling directly to customers, means farmers and their children can keep doing what they love to do—feed growing cities. Our family works hard to procure products with our local Treasure Coast farmer’s first, Florida regional crops as they yield, the Continental U.S., and global resources when U.S. crops have ended. Our process of procurement results in minimizing shipping & distribution time while providing you with a fresh bountiful and astoundingly diverse array of fresh fruits and vegetables.